HONEST CONSTRUCTION: This term refers to how something is built. 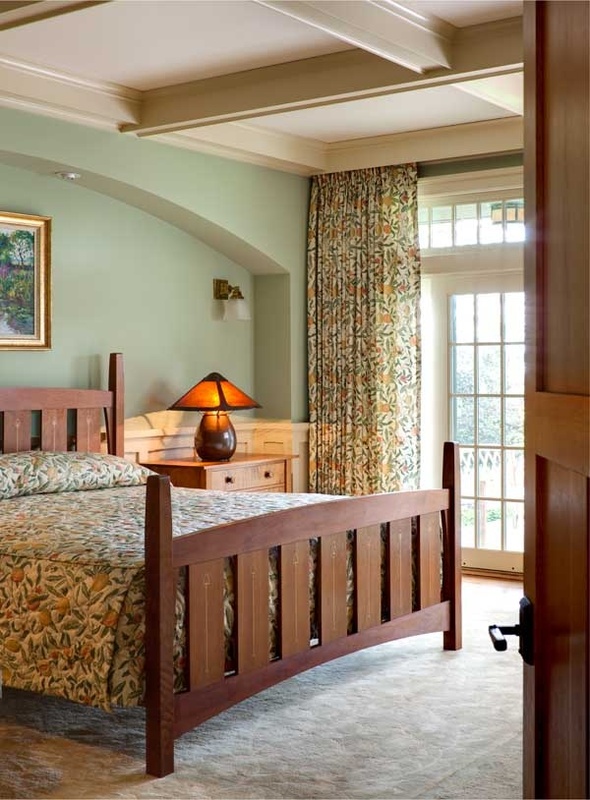 William Morris, the founder of the Arts and Crafts Movement in England, used the phrase as praise for type of construction with two characteristics : 1. the means of joinery is seen (e.g. mortise and tenon) and 2. the materials are simple without veneer. 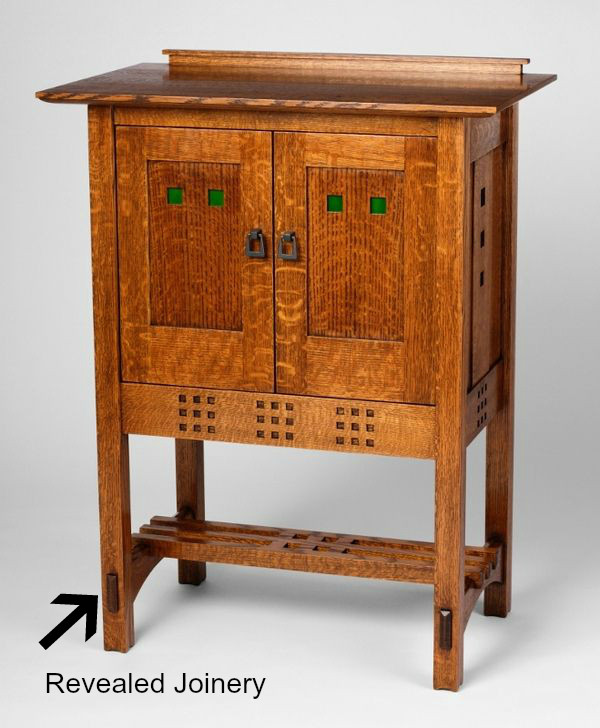 In other words, nothing is hidden, thus the phrase “honest.” See it in Arts and Crafts style furniture. Note the revealed mortise and tenon joinery on this bookcase. See the pegs holding the frame together for this beautiful Arts and Crafts style tile created by Motawi Tileworks.